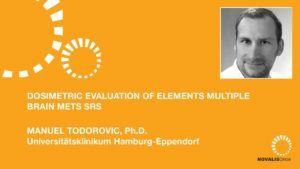 Manuel Todorovic, MD, of the University Clinic Hamburg-Eppendorf (UKE Hamburg) discusses the treatment of complex multifocal radiosurgery situations and how it is challenging in both planning and delivery. 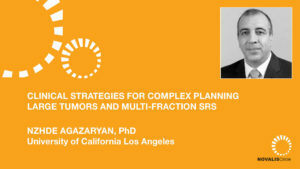 First, Dr. Todorovic defines a “complex planning situation”: A large number of lesions (clustered or not), different prescription regimes in one case (fractionated and single shot) or different indications. 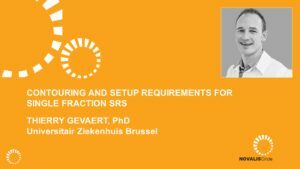 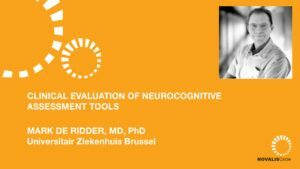 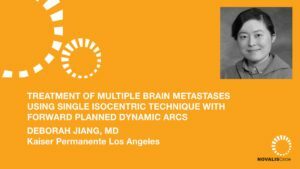 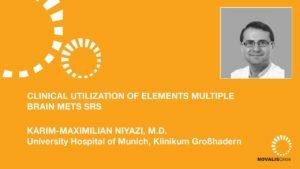 At the time of this talk, UKE Hamburg had already treated roughly 120 patients with Elements Multiple Brain Mets SRS software and 30-40 with Elements Cranial SRS. 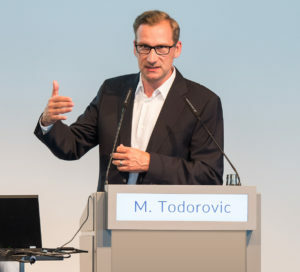 To prevent misalignment and rotational errors, which could underdose the lesion and overdose the surrounding healthy tissue, Dr. Todorovic recommends using an imaging solution. 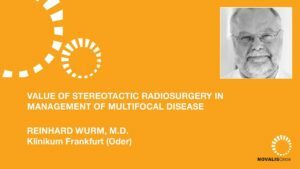 He discusses the pros and cons of each: ExacTrac, Cone Beam CT (CBCT) and Optical Surface Monitoring System (OSMS). 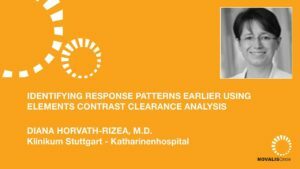 By way of a case report, Dr. Todorovic demonstrates how these software can be combined and used in conjunction with image guidance to create and execute plans.